On 21 March 1152, the marriage of Louis VII of France and Eleanor of Aquitaine was finally dissolved. 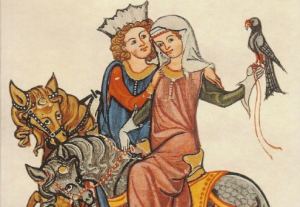 The couple had married in 1137, shortly after the death of Eleanor’s father. He had entrusted the care of his daughters to the king of France. The king decided that the best way to take care of the girls’ huge fortune and important land was to marry the elder to his son. Less than a week after the wedding the old king died, making Louis and Eleanor king and queen. From the start the couple were ill-matches, although Louis seems to have loved his wife. Eleanor found him bookish, overly pious and unmanly. Until his elder brother’s premature death, Louis had been meant for a career in the church. He had been educated by monks. The court, and in particular Louis’s mother Adelaide of Savoy, found Eleanor flighty and lacking the decorum and sobriety of the Parisian court. 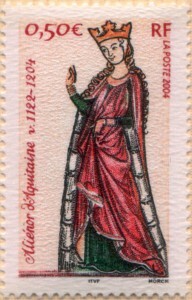 Eleanor was used to the court of Poitiers where the troubadour tradition flourished and where art, music and culture were celebrated. The court of her husband must have seemed dull in comparison. Louis, with his monkish habits and unworldly ways, must have been a stark contrast with the men she knew from home. While her father had been a religious man (dying on pilgrimage to Santiago de Compostela), he, like his own father William IX, had been a great lover of arts, music and poetry. He was also a successful warrior. William IX had been rather scandalous in his personal life and his unorthodox approach to romantic relationships* would have been known to his precocious granddaughter. 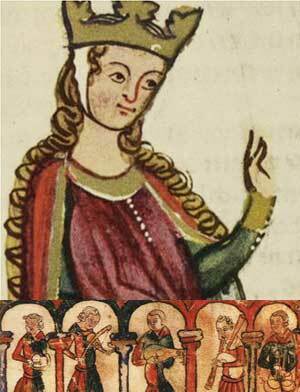 However, Eleanor made the best of the situation and even managed to conceive a child by her pious husband. 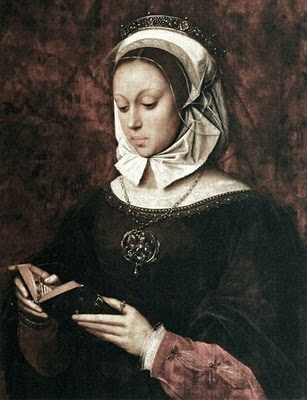 Their daughter Marie was born in 1145. The following year both parents joined the Second Crusade in the Holy Land. It was an opportunity for Louis to show his wife that he could be a man as well as a monk. Unfortunately for him, while rumours flew back to Europe that she and her ladies had led the Aquitanian armies bare-breasted like Amazons, Louis found that he had no skill for war. He proved to be ineffectual, indecisive and weak. When the armies reached Antioch, Eleanor met the prince, her uncle Raymond. He was charming, good-looking and a skilled warrior. The two spent much time in private conversation, using their native Occitan dialect, excluding Louis and all the northern courtiers. It led to rumours that they were having an affair. With little having been achieved, Louis eventually abandoned the crusade. The couple returned separately, meeting up in Italy. They paid a visit to the Pope and requested that he annul their marriage. The Pope refused and tried to arrange a reconciliation. 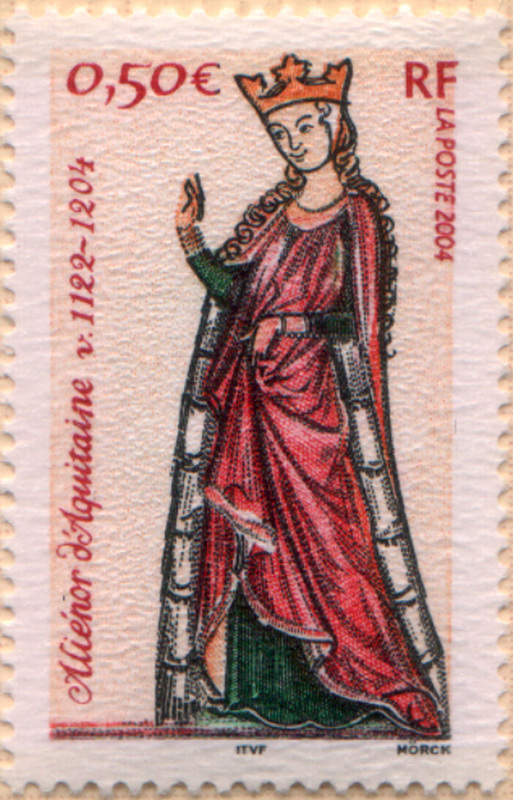 It was a brief success as nine months later, in 1151, Eleanor gave birth to their second child. That it was a girl was another blow. Louis needed an heir, and that meant a son. Louis secured the support of the French bishops and petitioned the Pope once again for an annulment. The bishops were only too glad to support a move that would rid them of the wilful and impious queen, replace her with someone more suitable (and no doubt more biddable) to provide a secure succession to the throne. The Pope acquiesced. He gave the king custody of their daughters and Eleanor returned to Poitiers, but not to a life of quiet retirement. *Definitely a subject for a future post. Any tale involving a woman named Dangereuse has a place on an infamous women blog. This entry was posted in Eleanor of Aquitaine, Infamous Women and tagged Eleanor of Aquitaine, France, Henry II, history, History of Europe, Holy Land, mistresses on March 21, 2011 by Gillian.